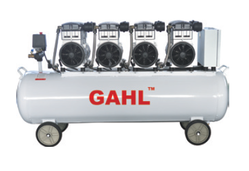 We want inquiries from Pune & nearby areas of Oil Free Air Compressors for PET Application. We provide compressive range of Air plant along with air dryers and high quality filtration system for hospital requirement our design with maximum reliability and minimum maintenance. - Designed for energy saving and long life resulting in quicker return to Customer Investments. - Intelligent and fail proof instrumentation and control system, hooked up to DCS. KPCL has a technical tie-up with Cameron Compression of USA for packaging and marketing Centrifugal Air Compressors in India. Designed with a capacity up to 20, 000 Cubic meter per hour, Cameron’s plant air series 3 stage, oil free, air compressor, finds its application in power, steel, automobile, textile, general engineering, air separation and pharmaceutical sectors. KPCL has successfully developed centrifugal compressors as per the latest industrial requirements & changing trend of Compressed Air market to energy efficient centrifugal compressors.